There will be some new content for those of you who have been reading our blog for over a year. I do not want to keep duplicating entries, but, this one is a timely one for our area of Japan. 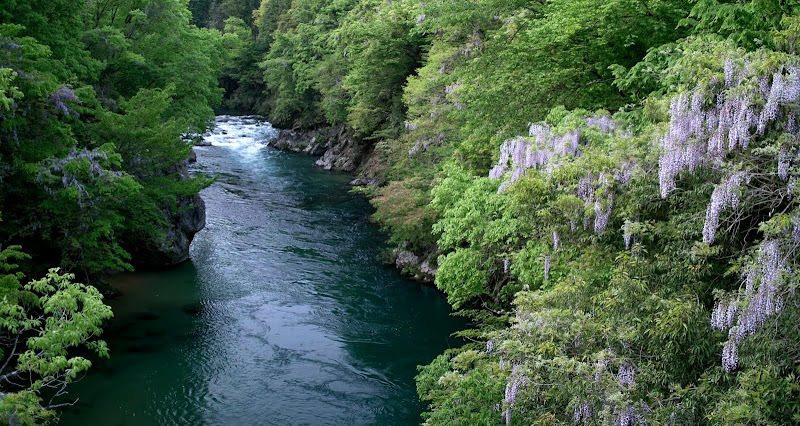 Last year I talked about how the Fuji flower (藤花, fuji flower, wisteria japonica), is considered to be the “tenkara flower”. This is because when the fuji flower’s blossom is an indication that fishing is good. I have been in Japan for over 15 days now. 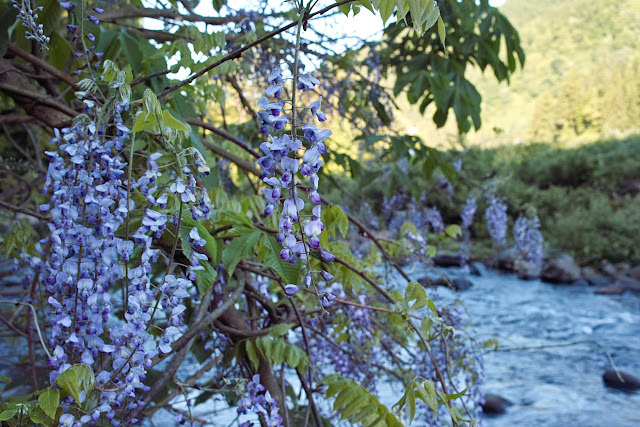 Sadly, the fishing in this area has been very poor, and, tellingly, until yesterday I had not noticed the Fuji flowers in the area I’m staying. Today, they seem to have bloomed and are starting to appear in many places. While I still suspect the fishing here won’t improve all that much (I’ll talk some other time about the poor management of fisheries in Japan), the almost overnight flower’s blossom is a sign for hope. Originally posted on June 10, 2010, after fishing in Japan at this exact time of year last year. This time of year is considered the best time for tenkara fishing in the mountain streams of Japan. One of the main indicators of this is the Fuji hana (藤花, fuji flower, wisteria japonica). The fuji flower is commonly found near streams in Japan at this time of year, and when it’s blooming it’s said to be tenkara fishing time. So, I’ll call the fuji flower, the tenkara flower. Now we need to find one for tenkara in the US. One morning I was able to get very close to the fuji flowers, they tend to be found a bit high, but a few hours before I was able to I had dunked my camera’s lens, a big SLR lens, into the water as I landed a fish. It’s what I call my karma neutralizer. I didn’t realize it until later, but the picture I took was a bit foggy. Luckily I was able to get back there before the trip was over and take a better picture.